Arnold’s Cove Inn is a newly renovated hotel, restaurant and bar located in the picturesque outport community of Arnold’s Cove. Situated on the Northern edge of Placentia Bay, Arnold’s Cove is ideally placed along the isthmus that connects the Avalon Peninsula to the main island of Newfoundland, offering the perfect base for a world of adventure and discovery.Our 23 room hotel features numerous amenities designed to make your stay extra special. Our colourful bar that surrounds you in distinctly Newfoundland culture. So whether you are on business in Bull Arm, making a weekend getaway from the city or a visitor to our beautiful province, the Arnold’s Cove Inn knows how to make your stay feel extra special. 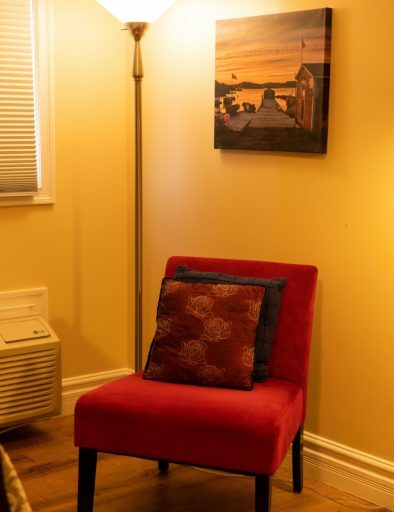 Located in picturesque Arnold’s Cove, just 1.5 hours from St. John’s or the Argentia ferry, Arnold’s Cove Inn welcomes you with modern, air-conditioned rooms with wireless connectivity. We also feature a full service restaurant with an all day breakfast menu, as well as heart healthy meal options.